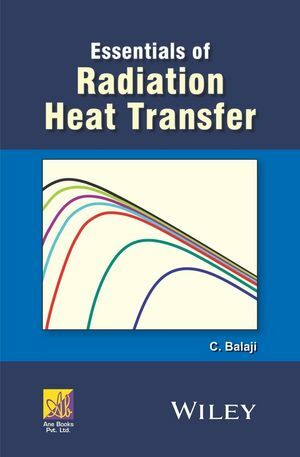 Essentials of Radiation Heat Transfer presents the essential, fundamental information required to gain an understanding of radiation heat transfer and equips the reader with enough knowledge to be able to tackle more challenging problems. All concepts are reinforced by carefully chosen and fully worked examples, and exercise problems are provided at the end of every chapter. C. Balaji is currently a Professor in the Department of Mechanical Engineering at the Indian Institute of Technology (IIT) Madras. His areas of interest include heat transfer, optimization, computational radiation, atmospheric radiation and inverse heat transfer. He has close to 125 peer reviewed journal articles to his credit and has undertaken several sponsored research projects for the government and industry. Professor Balaji is an elected Fellow of the Indian National Academy of Engineering.